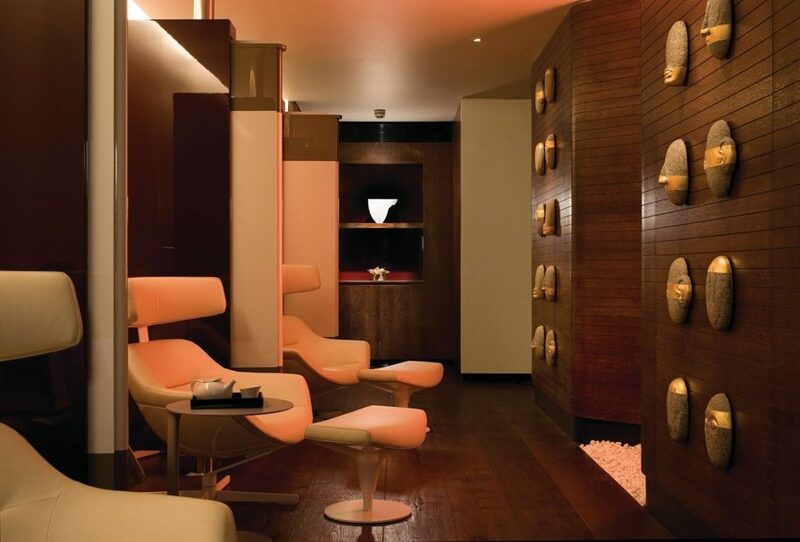 The Spa at The Four Seasons London at Park Lane is unique, not only in the services it provides but most importantly the location. 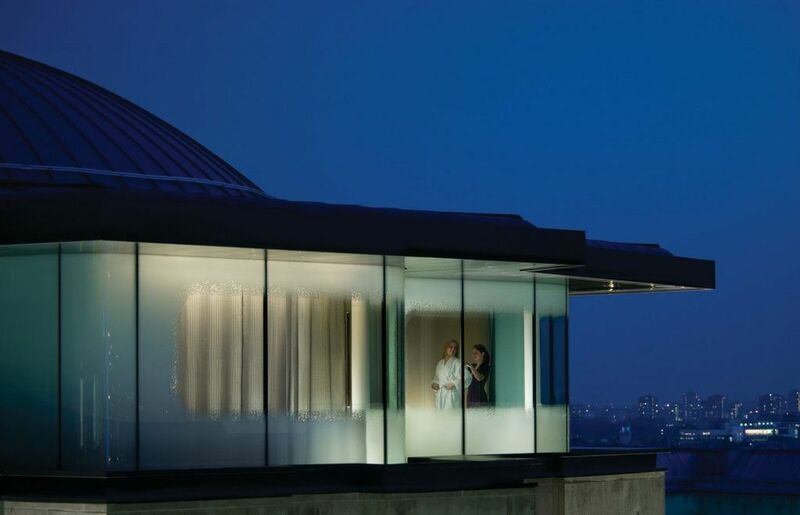 Located on the top level of the hotel the panorama from The Spa is breathtaking, with 360 views of the London skyline this is truly an extraordinary venue for what was the most relaxing experience I have ever encountered. Upon entering the Spa, you are greeted by the sound of running water from the natural quartz fountain, the air is filled with the light perfume of incense and the products used in the Spa. I am shown to a seat overlooking Hyde Park and asked to fill in the necessary forms while being served a refreshing mango juice. Once completed, I am taken through to the changing rooms. After wrapping myself up in the luxurious Spa robe, which is lined in silk, I make my way to the treatment rooms. 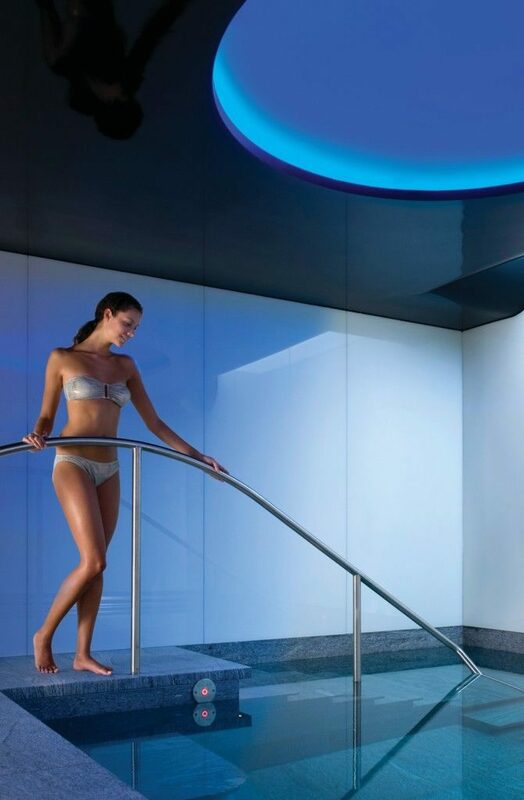 Between the dressing room and treatment rooms there are the general spa facilities, which can be used by either Spa guests (complimentary) or hotel guests (for an extra charge), here you can find a Sauna, Steam room and hydrotherapy pool. After an aromatic cup of Jasmine Tea, my therapist Anna shows me through to my private treatment room. As I enter the room I am taken back by the most striking feature of this space: the view. Anna asked if I would like the blinds drawn as the sun shone into the room but feeling that would somewhat defeat the point of this great location I asked to keep them open: for those of you that are more modest about your body potentially being on show, do not worry the Spa at the Four Seasons is set at such a level that no one overlooks, except maybe the passing birds. My treatment was one of the Spa’s signature Rituals: Energy Balancing Ritual with Hot Stones. It starts with a foot massage in a granite bowl, Anna asks me to select my oil and aromatherapy lotions and infusions for the treatment, this ritual uses ESPA products created by spa guru Susan Harmsworth and the philosophy is focused on enhancing an individual lifestyle in a way that is both holistic and versatile. I chose the less flowery oils and lotions preferring the smell of the more spicy options, what with it being extremely chilly outside the warmer spicy aromas complement the sunshine streaming in to the room. Anna vacates the room after asking me to de-robe and lie on the treatment bed face down, once returned she creates this amazing bowl of warmed oils and places under the bed for me to inhale during the ritual, truly a wonderful part to the treatment. Anna then starts with the body brushing using a cactus spine brush, brushing in an upward movement to increase blood circulation, after brushing my legs and back I turn over for her to brush the front of my body including the shoulders and arms. I am then left to have a shower in the treatment room in the private shower room to wash off the exfoliating scrub while Anna changes the linen on the bed and then waits outside for me to return to bed for the second part of the treatment, the hot stone massage. Lying on my front again Anna smoothes the hot oil on to my skin and then using volcanic lava stones massages my legs and back, the stones are rather hot when they first touch the skin but then the feeling of contentment and total relaxation washes over me. After my back is done I roll over and Anna massages the front with the stones, by this point I am so relaxed I am almost asleep. Anna finishes the treatment with a head and shoulder massage, the bed is slightly raised for this and as she finished the sun sets over Hyde Park in hews of orange and pink, stunning, absolutely stunning. After the ritual Anna shows me to the relaxation pod outside the treatment room, where a cup of green tea is waiting with a selection of nuts, here you can either snooze, read a magazine or listen to a selection of music; I drink my tea and decide to sample the other facilities of the Spa. The Sauna and Steam Room are amazing, but the crowing glory is the Hydrotherapy pool. Within the pool is a steel bed like structure that at first glance looks very daunting but once installed on top of it there is a button one can press and then the magic happens, the steel pipes pumps out hundreds of bubbles turning the structure into something that resembles a Jacuzzi but on a MUCH grander scale. After splashing around in the pool for I am not sure how long I head to the changing rooms and back to the real world. Upon leaving the hotel I see my wonderful friend Aron, who asked me how the experience was, and for the first time since he’s known me, or since anyone has known me, I was speechless. I can honestly say I have never been so relaxed, so much so my brain to mouth function seemed to completely fail. 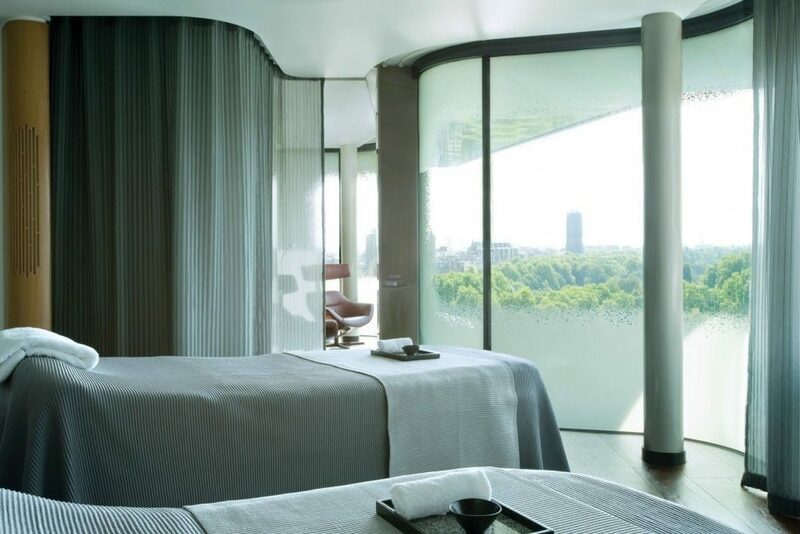 The Spa at the Four Seasons London at Park Lane is indeed a haven; no it’s heaven, heaven over Hyde Park, somewhere I know I would be happy spending eternity.